Ireland’s adoption of electric vehicles remains significantly low by international standards, a new study has revealed. The study by GoCompare is based on data on electric vehicle infrastructure in the 30 countries that are members of the International Energy Agency (IEA). 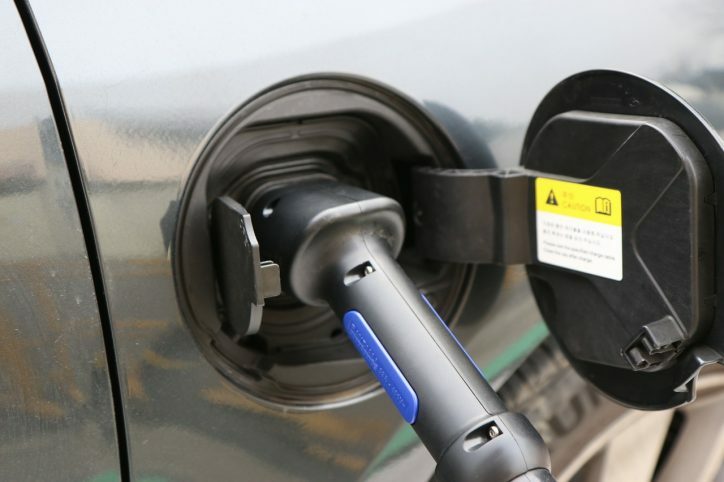 E-vehicles are generally more costly than their fossil fuel-dependent counterparts; however, a recent research has revealed that their prices have significantly dropped since 2011, paving the way for their entrance into the mainstream. The study sheds light on Ireland’s slow embrace of e-vehicles, revealing the number of e-vehicles in the Irish fleet stands at just over 2,500. According to the study, Ireland is the tenth worst of the IEA countries in terms of integrating e-vehicles into its fleet, lagging behind the likes of Spain and Korea. China is reportedly the world’s best performing country in terms of e-vehicle adoption with over one million cars. Norway has the highest number of e-vehicles per 1,000 people with an estimated number of 33 automobiles for every 1,000 Norwegians, the study found. Due to Norway’s aggressive e-vehicle strategies, plug-in cars now make up half of all new car sales. Fine Gael Senator Joe O’Reilly recently urged the Government to offer a “special grant or tax relief” to first-time drivers in addition to the existing €5,000 fund available for the purchase of e-vehicles. He also called on the State to significantly increase the number of charging points for e-vehicles to facilitate their use. 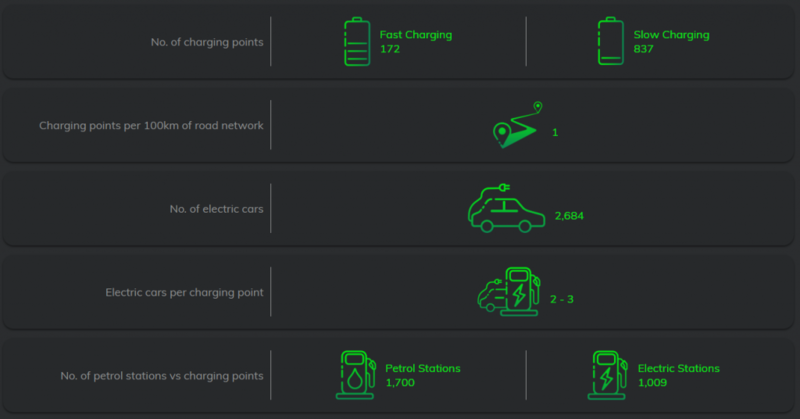 The study by GoCompare found that Ireland has 1,009 charging points against 1,700 petrol stations, ranking us in 15th place out of the 30 IEA members examined. Mr O’Reilly said that those who buy an e-vehicle as their first car are more likely to continue driving plug-in cars for the rest of their lives. He added that such initiative might help making young drivers more environmentally conscious. “Young people are idealistic, willing to learn and will more readily grasp a new idea. It is important that we give them incentive to do this and to change their world for the better,” Mr O’Reilly said. Earlier this week, Amnesty International called on the electric vehicle industry to make the world’s first completely ethical battery within five years. Amnesty has documented serious human rights violations linked to the extraction of the minerals used in lithium-ion batteries. A 2016 investigation found children and adults in the Democratic Republic of the Congo working in hand-dug cobalt mines facing serious health risks. Amnesty’s research has also linked these mines to the supply chains of many of the world’s leading electronics brands and electric vehicle companies. “Finding effective solutions to the climate crisis is an absolute imperative, and electric cars have an important role to play in this,” said Kumi Naidoo, Amnesty International’s Secretary General. There has been some progress in response to Amnesty’s research, with several leading companies, including Apple, BMW, Daimler, Renault, and the battery manufacturer Samsung SDI, now publishing data about their supply chains.